Brainwave is a member of the Defenders of Trolla. "Push this Heroic Warrior's chest and his mighty brain opens up to reveal a powerful crystal. Brainwave sends signals from his brain to stop enemies". Trivia (Clawful 94): This entry was sent in by Billy Stafford, of Tennessee. Brainwave was an obscure concept character, that was entered in the 1980's Create-A-Character contest in the U.S. Magazines. He was one of the runners-up to, Fearless Photog. 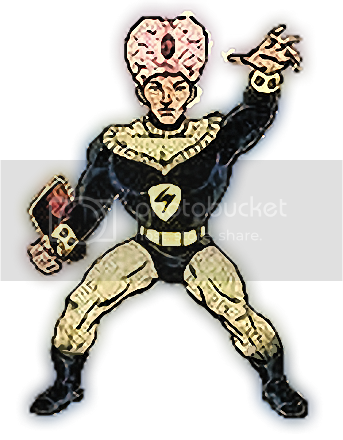 Brainwave later becomes an official character, being featured in the 2014 Mini-Comic, that came with the Unnamed One.